Recently pundits bemoaned the fact that apparently American students weren’t all that prepared for college because they scored low on the ACT standardized test. Only a quarter of scored high enough “to be considered ready for college or a career,” according to the ACT’s benchmarking system. 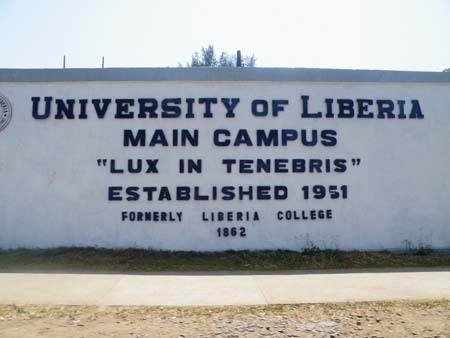 Nearly 25,000 school-leavers failed the test for admission to the University of Liberia, one of two state-run universities. Many [secondary] schools lack basic education material and teachers are poorly qualified, reports the BBC’s Jonathan Paye-Layleh from the capital, Monrovia. However, this is the first time that every single student who wrote the exam for a fee of $25 has failed. That’s right, no one will be admitted. There will be no freshman at all when the school reopens in September. Officials say Liberia’s civil war destroyed the country’s education system and left few students prepared to succeed in college. And we thought the American Ivy League, with its average 8.2 percent admit rate, was selective.